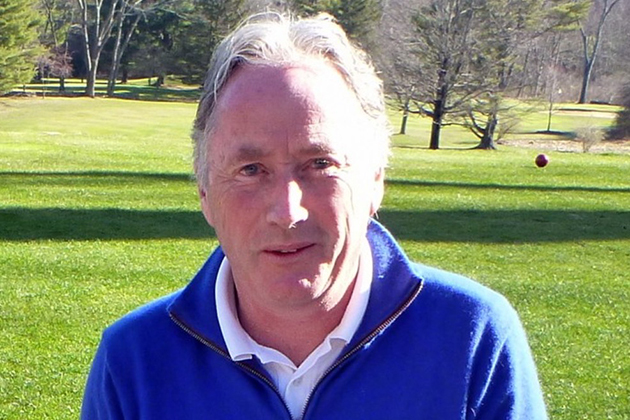 Gerry Mullally is the founder of Advanced Golf Nutrition and the creator of the Par Bar. The Par Bar came to fruition in the summer of 2015 after Mullally realized that there weren't nutrition bars made specifically for golfers. Along with Par Bars, he also created Par Water. Recently, we asked Mullally to share with us how this all got started. 1. Gerry, as a chemist by profession, you have been involved with developing healthy food products for over 30 years. How did you get involved with golf specific nutrition? As a lifelong golfer and food chemist, I was disappointed with the lack of good nutrition choices for golfers and decided to start a business to create nutritional products that meet the specific demands of golf. 2. Today's elite athletes, regardless of the sport, are more conscious of physical conditioning, nutrition, sleep patterns, etc., than ever before. In the sport of golf, the days of a candy bar and soft drink at the turn are no more. Help us understand how proper nutrition can positively affect performance on the course. The nutritional demands of golf are different than most other sports. Golf is a moderate but prolonged exercise that requires sustained even energy. Ideally, golfers should have the same energy levels from the first tee to the last green. That's what our Par Bars are designed to provide. Spikes in energy levels and or loss of energy create a loss of focus and inconsistent play. When the body and mind are properly fueled, players are prepared for optimum performance and can expect to be as energized and focused at the end of the round as at the beginning. 3. In addition to your original nutritional bar, you have also developed a product specifically for college athletes. Explain why this was necessary and how this product differs from your original bar. There are 24 different NCAA sports, including golf. Guidelines on nutrition from the NCAA are the same for all, regardless of the demands of the sport. The guidelines include a list of nonpermitted ingredients, two of which are the amino acids found in green tea, caffeine and L-Theanine. These two amino acids are present in our original Par Bar because clinical studies show they help with mental relaxation and improved focus, attributes golfers value. However, as they are not permitted by the NCAA, we formulated a new bar Par Bar College Formula to conform with the NCAA guidelines while still providing the sustained energy profile required for golf. Our website ParBarGolf.com covers this and information on the ingredients we use for all our products. 4. College golf tournaments are often 54-hole events played over two days preceded by a practice round. When you add in travel and studying on the road, it can become an endurance contest. The wear and tear on the players is something that all coaches deal with from week to week. What are the keys to nutrition and hydration both before and during 36-hole days? How should college golfers integrate these into their normal conditioning program? Good nutrition is as important a component of preparation as swing mechanics, course management and fitness. Losing energy or becoming dehydrated will result in poor performance no matter how well prepared a player is in other areas. Hydration and maintaining energy levels on the course are obvious keys to better performance, but staying properly hydrated needs to become a way of life for any athlete. The minimum consumption of fluids daily for the average adult is 2.5 liters and more when exercising or in hot, humid conditions. Studies have shown that when mildly dehydrated (i.e. thirsty), golfers can lose up to 12 percent in distance and 90 percent in accuracy. My recommendation for college players during tournament week is to avoid all fast food and avoid fatty products such as hot dogs, hamburgers and fried products, as they will make you lethargic. Avoid high-sugared drinks and drink plenty of water before, during and after play. If the weather is hot and humid or players find themselves sweating, then they need to consume an electrolyte-based drink to restore the salts lost and maintain good physical and brain function. Eat fruit, nuts, whole grains and avoid all snacks high in simple sugars. The week of a tournament, never eat foods that you have not tried before; leave that to the offseason. Also avoid any food establishment where you have any hygiene concerns. Food poisoning on the road is more common than people think. 5. Recently, you debuted a unique product that turns a bottle of water into a simple hydration product in a matter of seconds. Where did this idea come from, and how does it work? As you will realize from my answers so far, I am a firm believer in hydration for everyone. Most people are in a continual state of mild dehydration. Our bodies are 70 percent water, our brains and blood are 85 percent water, so we need to be properly hydrated to have optimum physical, biological and mental performance. I developed a convenient hydration product for golfers and athletes called Par Water. It is a cap that fits on any water bottle, and housed in the cap is a proprietary powder that contains a slow-release glucose and the optimum ratio of electrolytes to maintain good hydration. It is simple to use: Snap it on the bottle, press the top of the cap, and the powder inside immediately disperses into the water. Shake, remove the cap and drink. It has only 1 gram of sugars compared to most commercial products that have up to 34 grams of sugar in the same volume. As long as there is water available on the course, all one needs is to have a few of these caps in their bag or pocket, and they can convert their water into an electrolyte drink. It is important to remember that when sweating, water is not enough to maintain good hydration, the electrolytes lost need to be replaced. During long rounds of golf, temperatures can change dramatically, with the Par Water cap players can be prepared for any temperature changes and stay hydrated. 6. Finally, what are the most common mistakes elite college golfers make with respect to what they eat and drink while playing? The most common mistakes I see elite college players making with respect to eating and drinking on the course are the consumption of highly sugared drinks and snacks. When playing 36 holes on the same day, eating and drinking too much too quickly between rounds is a constant problem. Eating wisely throughout the day is much more efficient and will lead to better performance especially as the rounds progress. If there is a doughnut truck in the parking lot, stay clear.